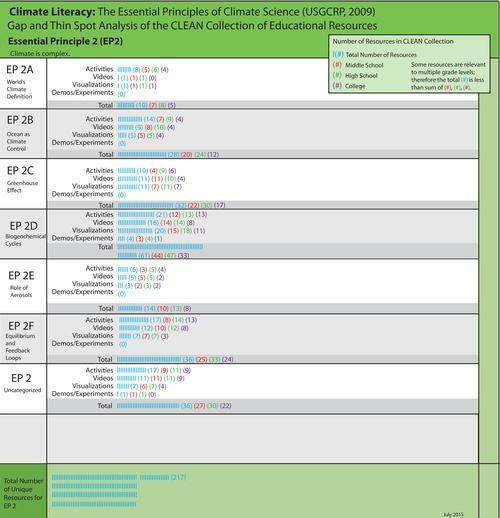 The CLEAN collection features peer-reviewed educational materials (learning activities, videos, visualizations and short demonstrations/experiments) in a digital collection. 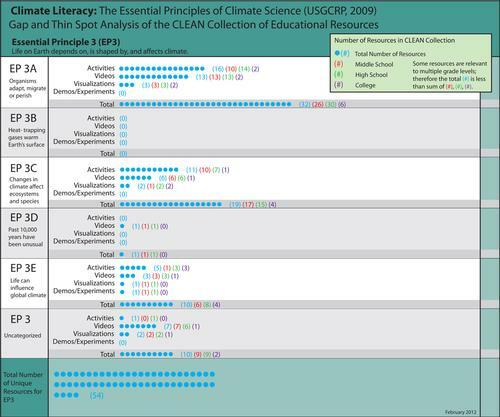 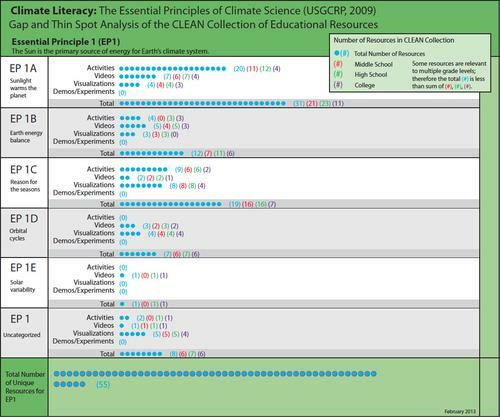 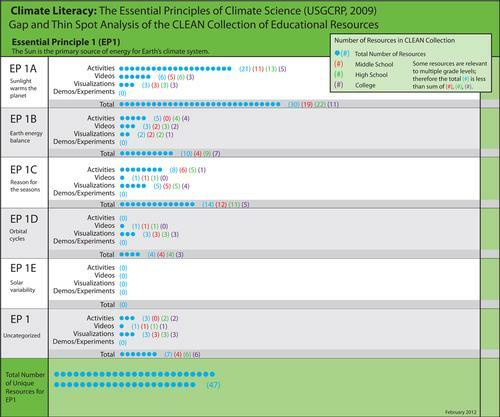 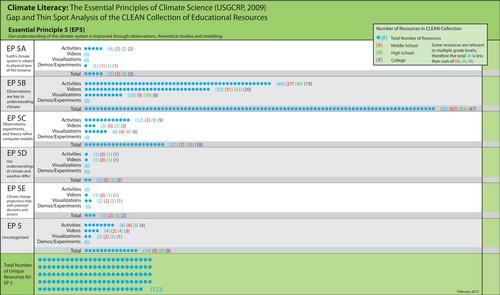 The scope of the collection is defined by the Climate Literacy Essential Principles and the Energy Literacy Principles. 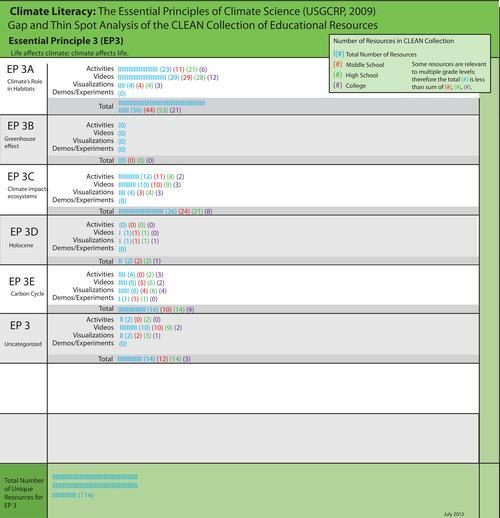 This literacy-based approach allows analyzing gaps and thin spots in the collection. 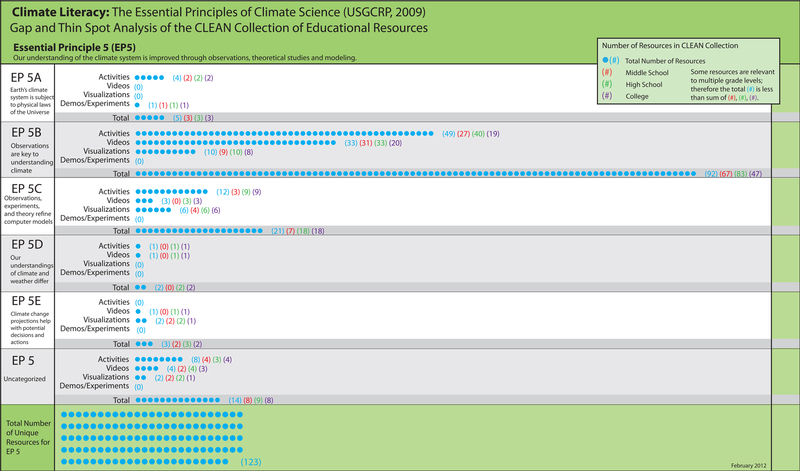 We are aware that high quality resources exist that have not been reviewed yet. 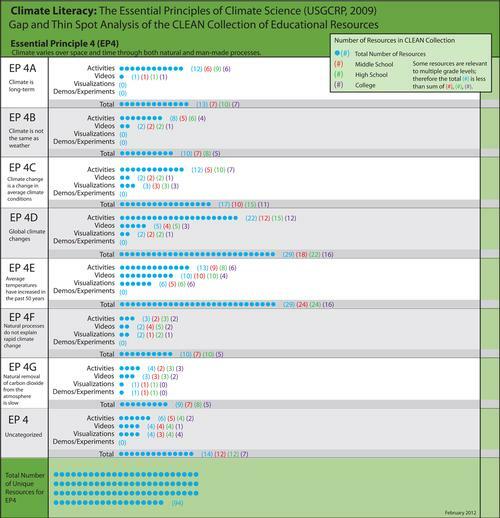 If you are aware of or have developed online resources for grades 6-16 that may help fill these gaps, please suggest a resource. 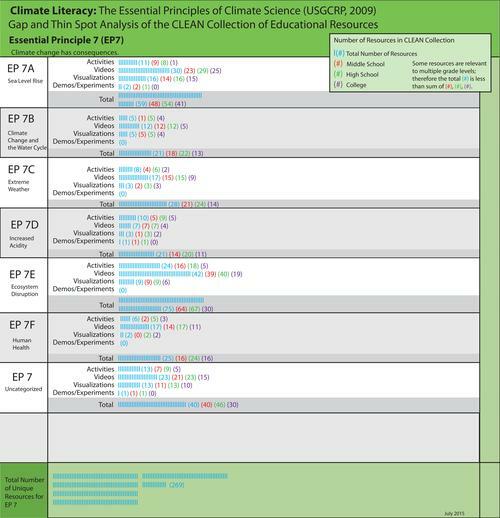 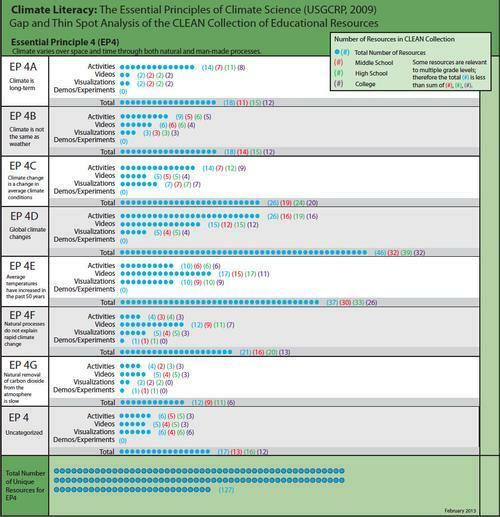 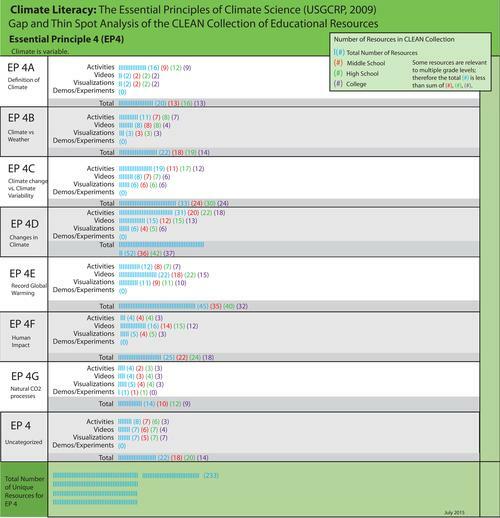 NEW: Gap and Thin Spot analysis of CLEAN collection focused on Next Generation Science Standards. 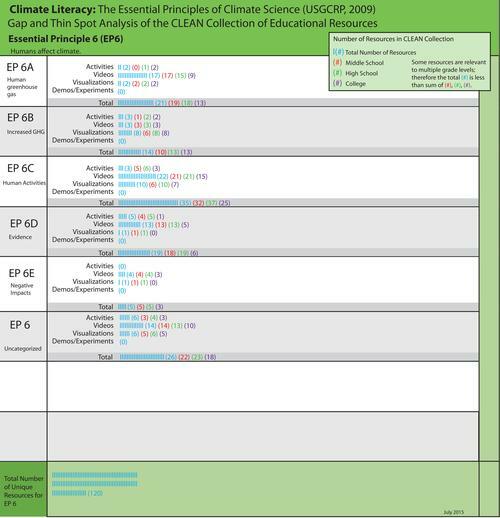 Below are graphics that illustrate the gaps and thin spots in the CLEAN collection. 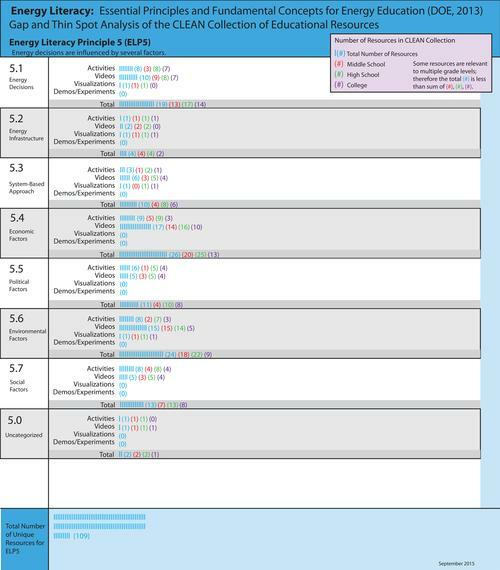 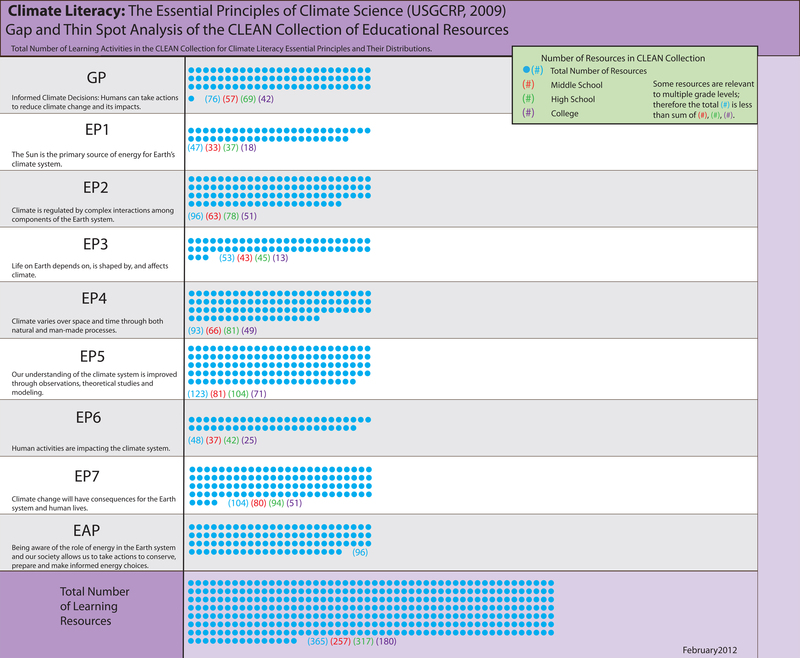 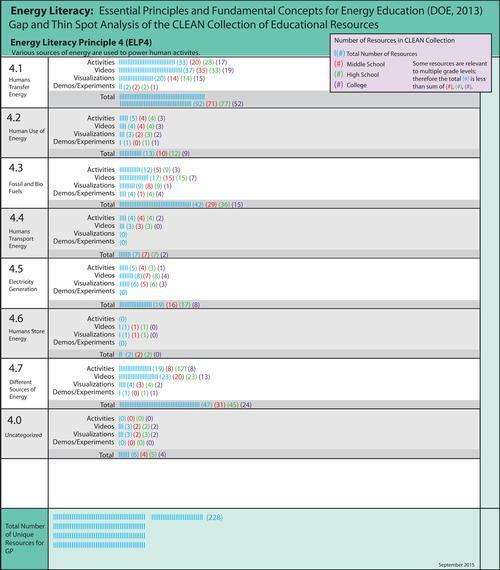 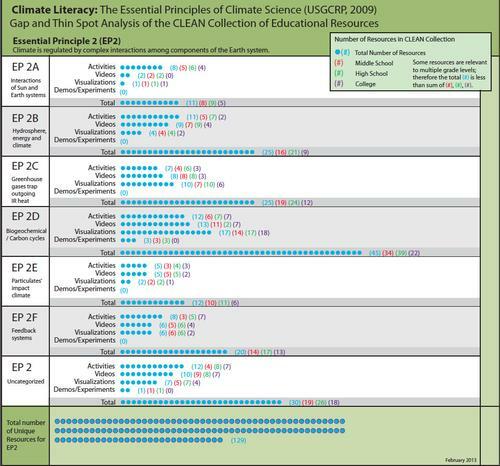 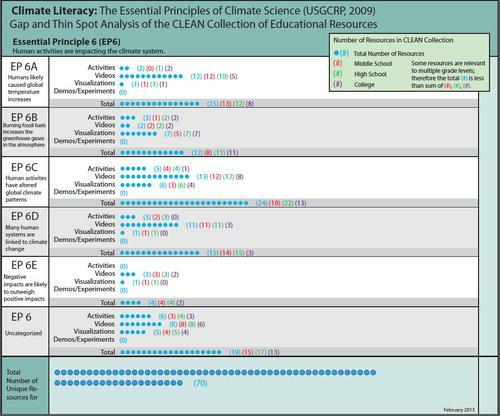 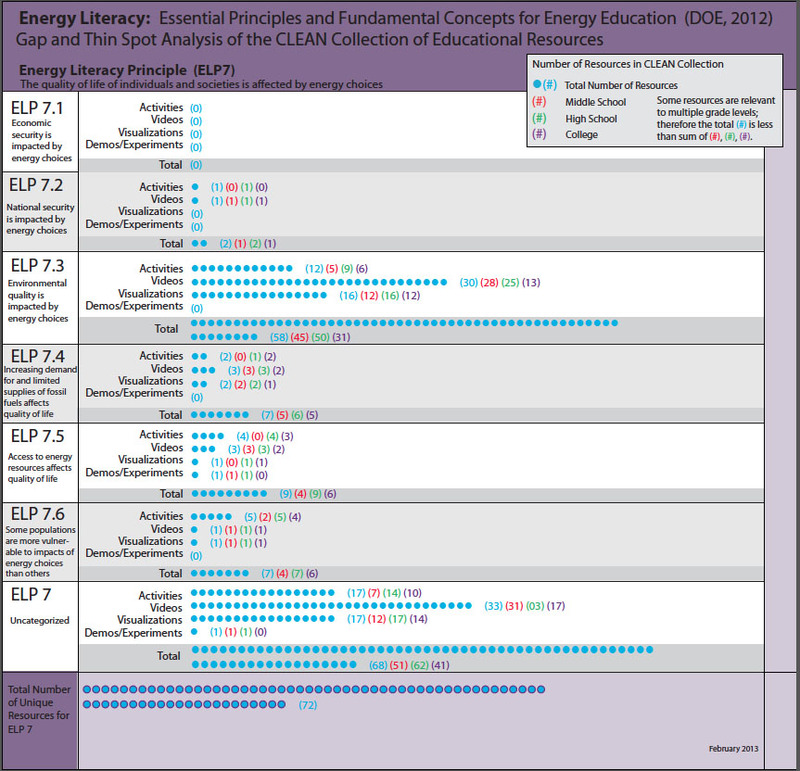 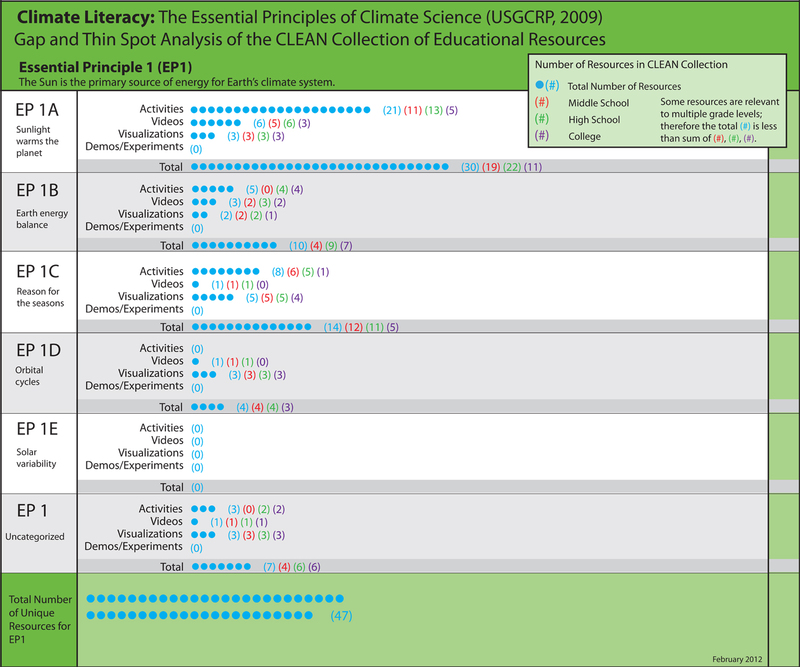 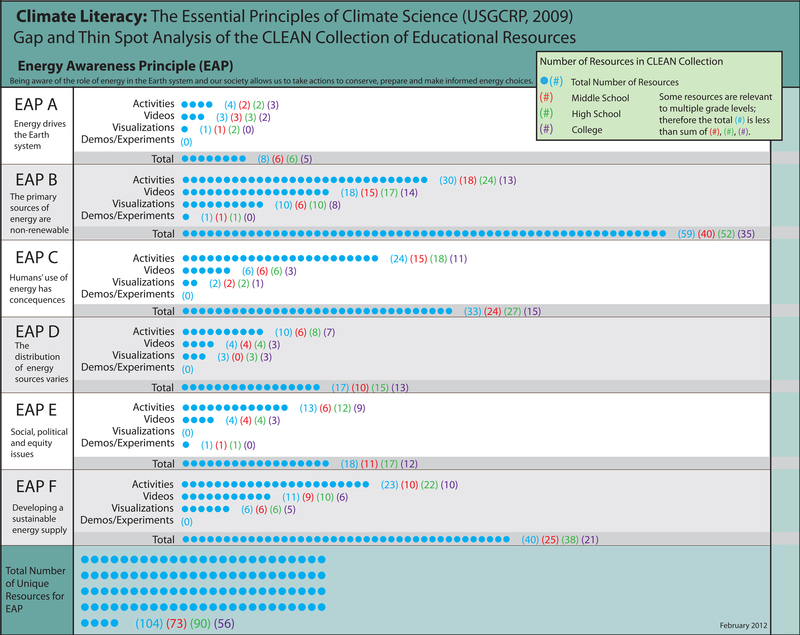 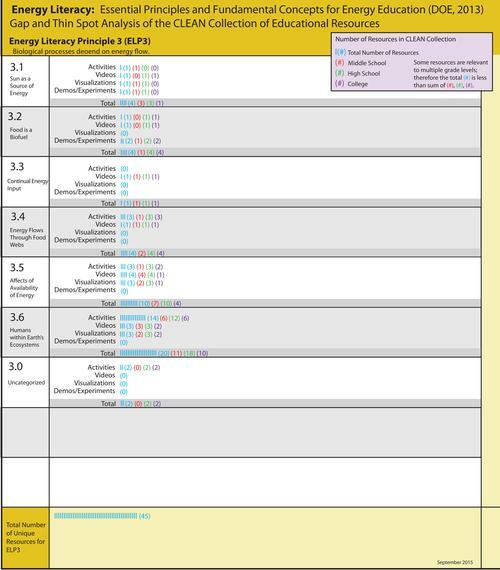 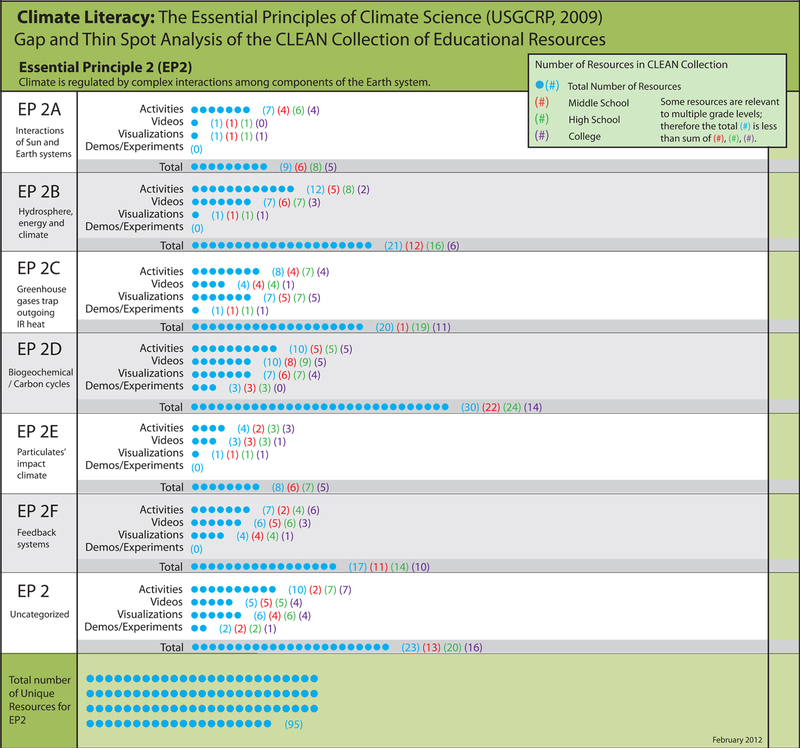 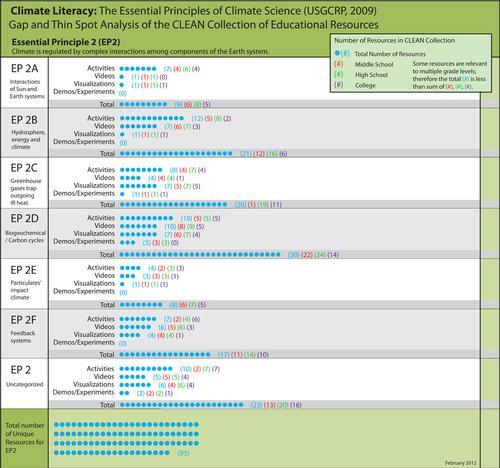 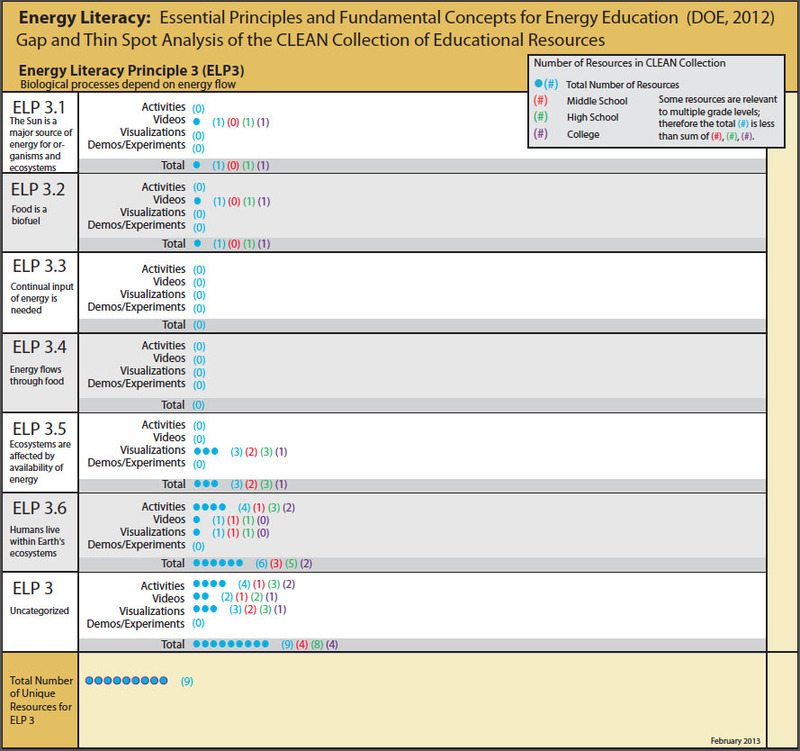 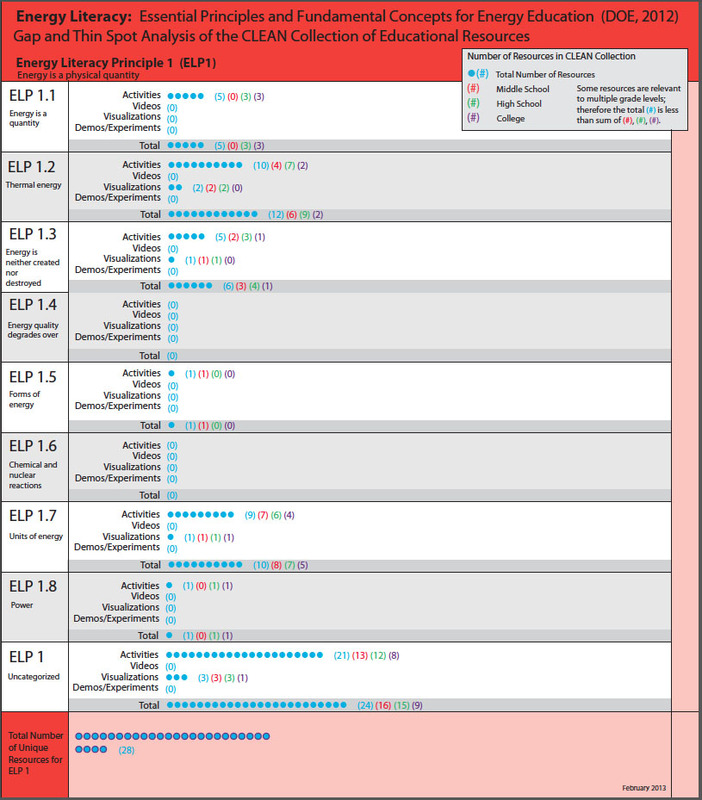 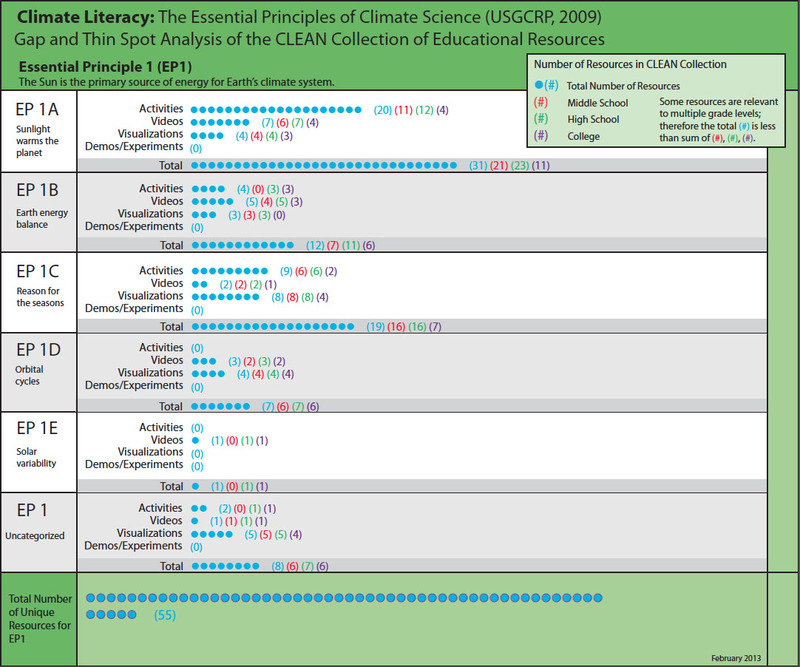 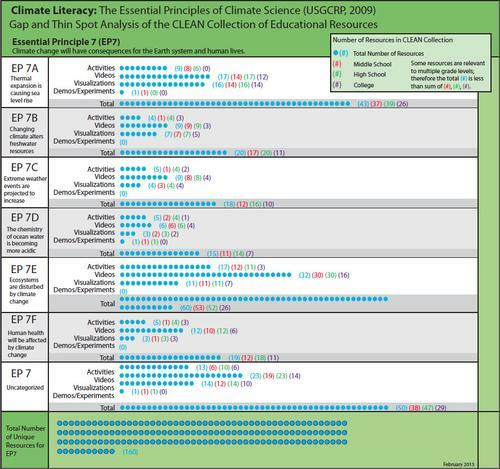 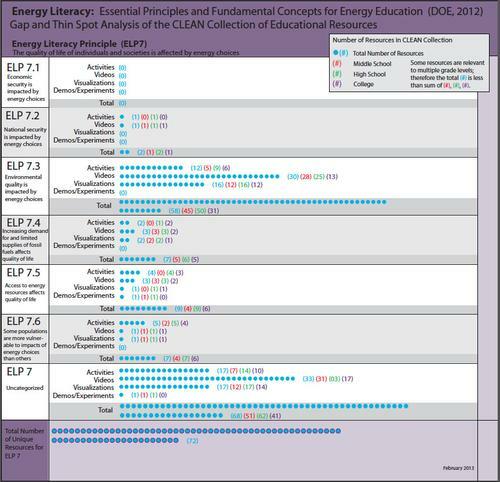 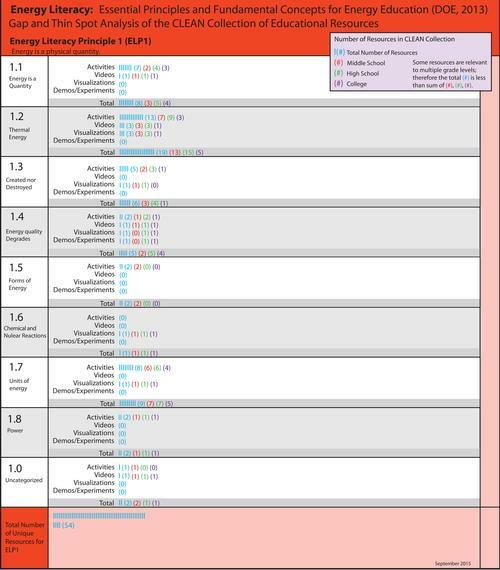 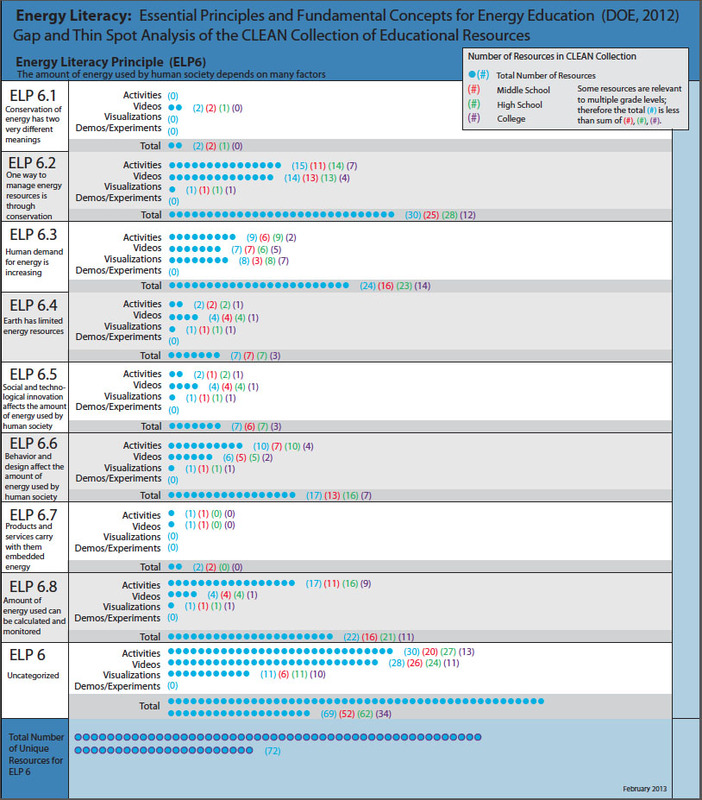 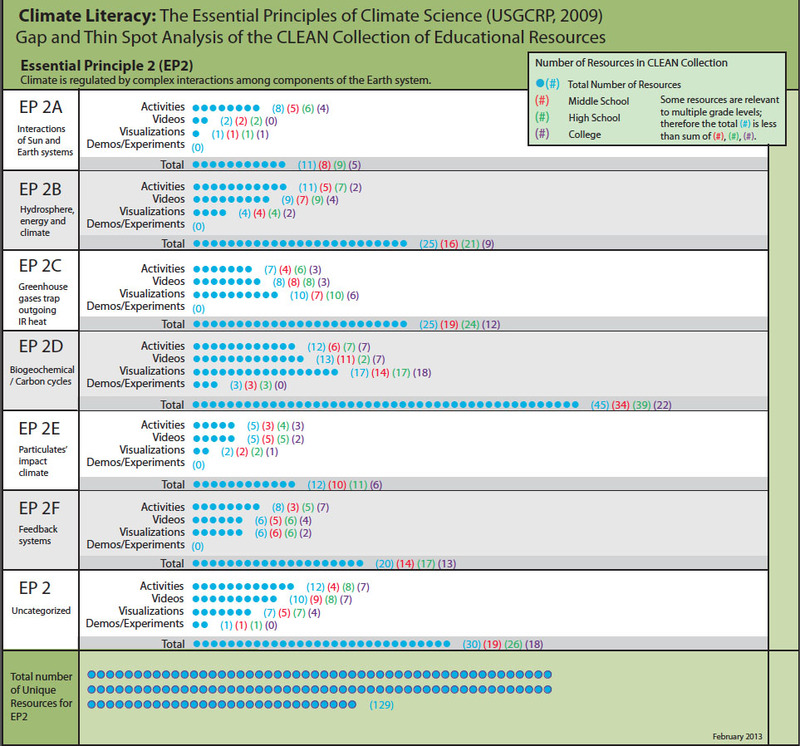 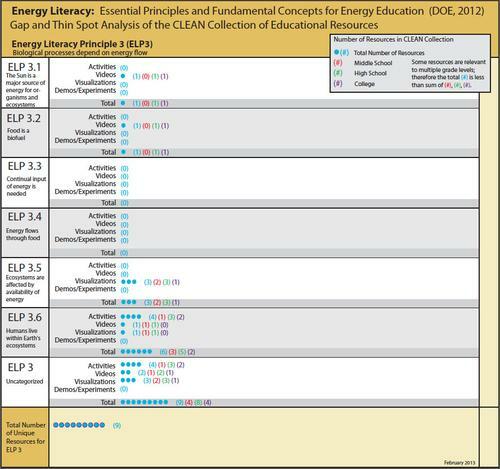 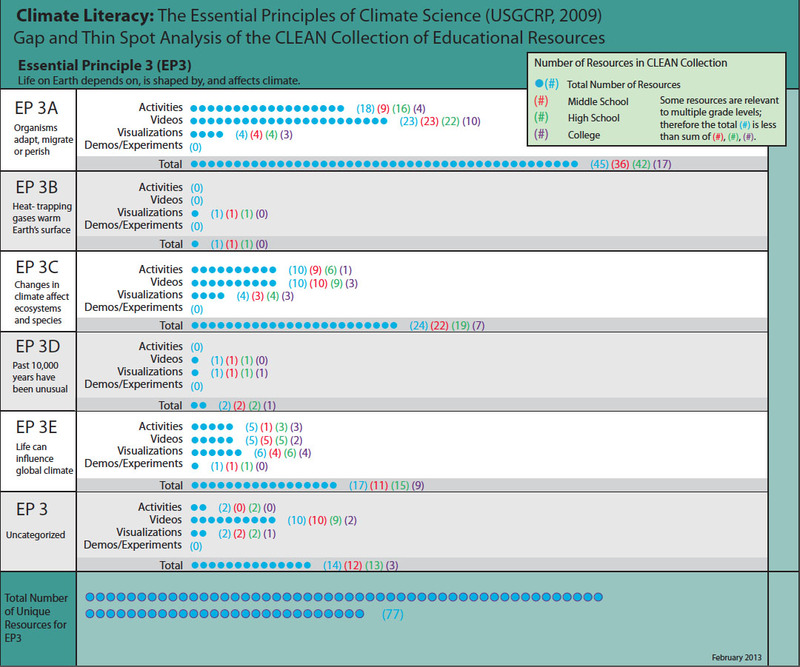 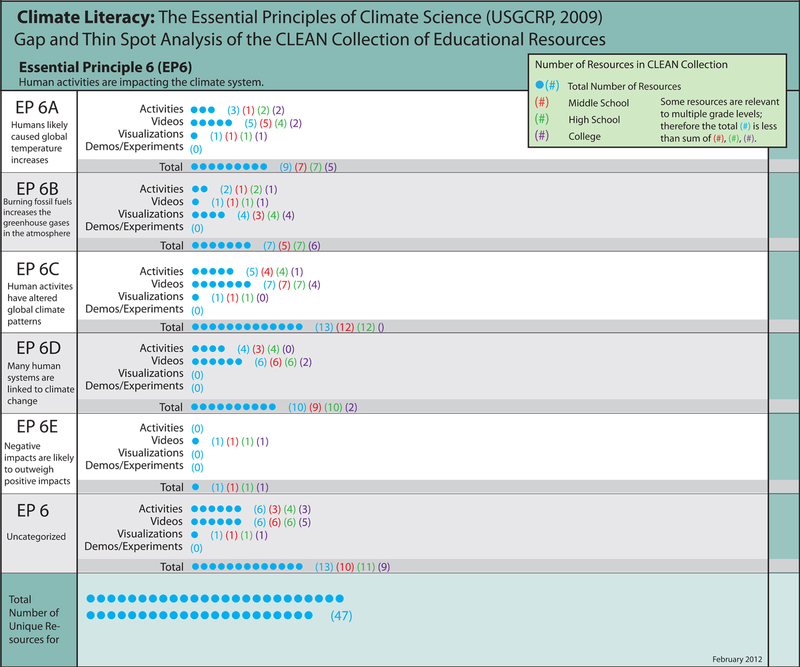 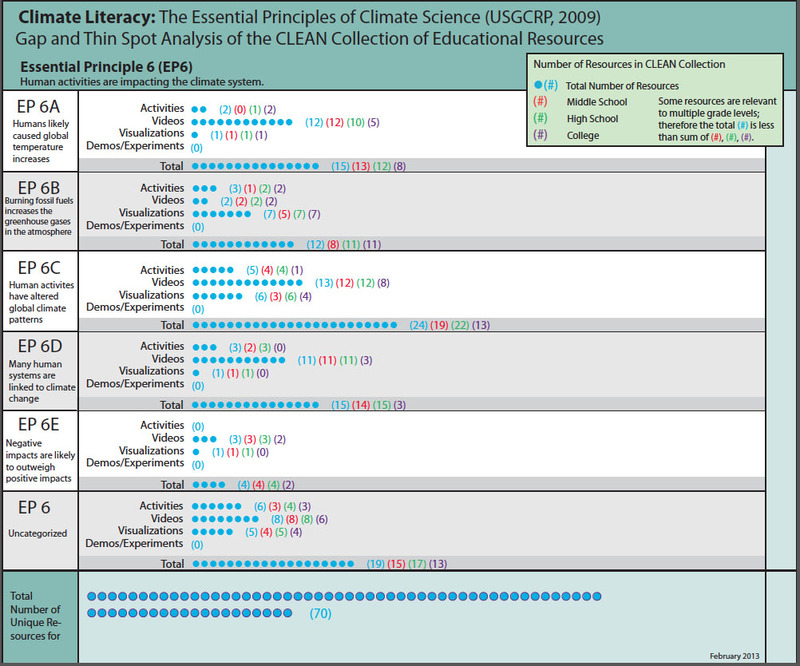 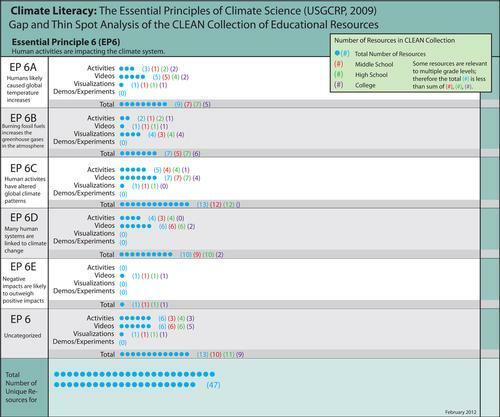 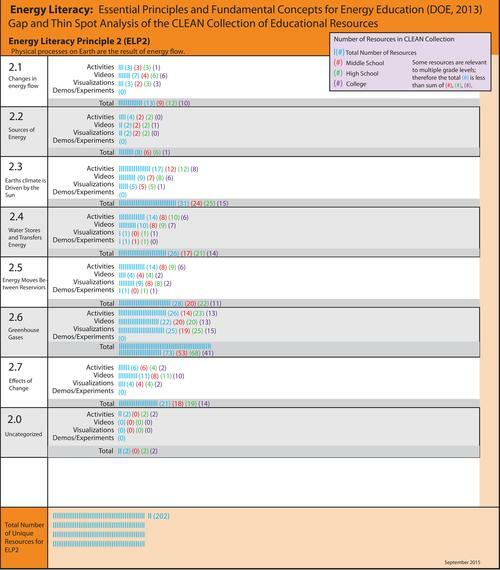 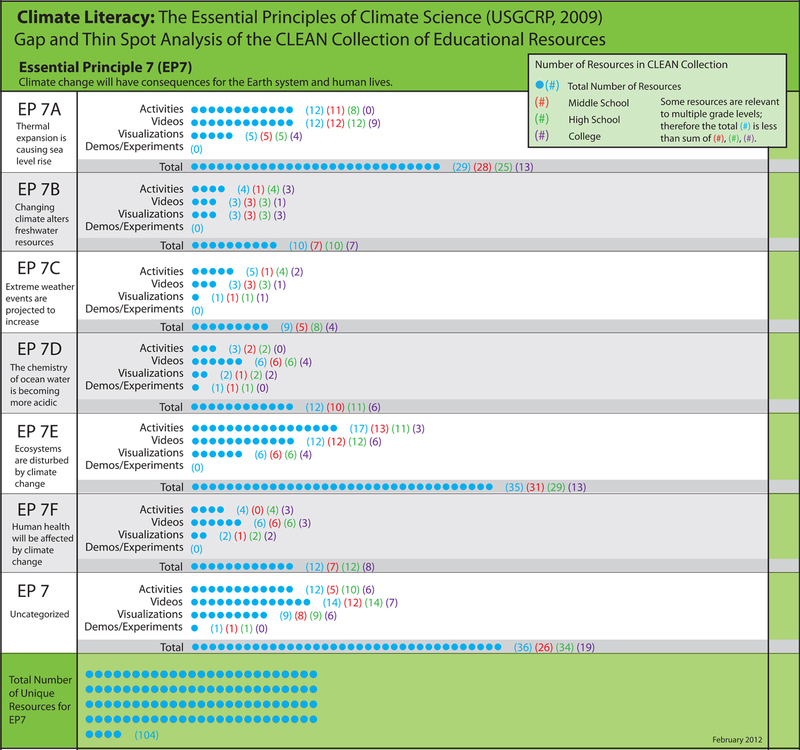 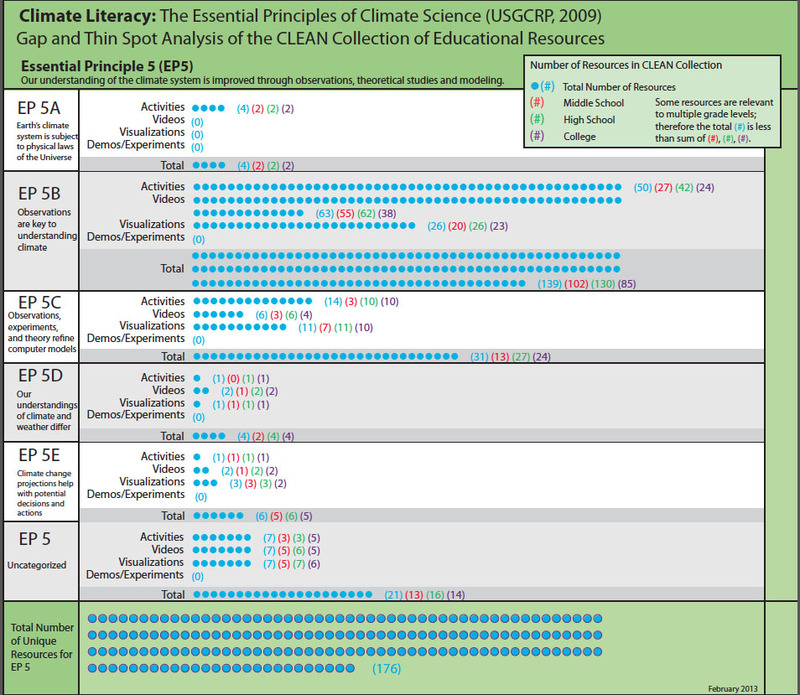 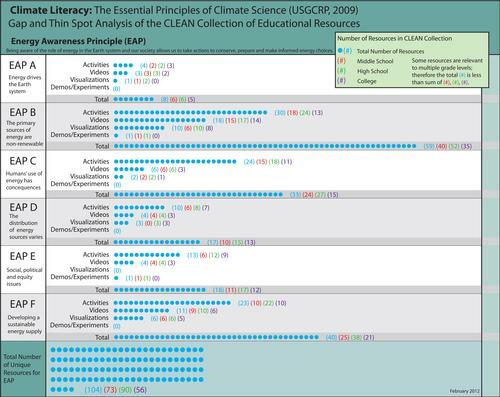 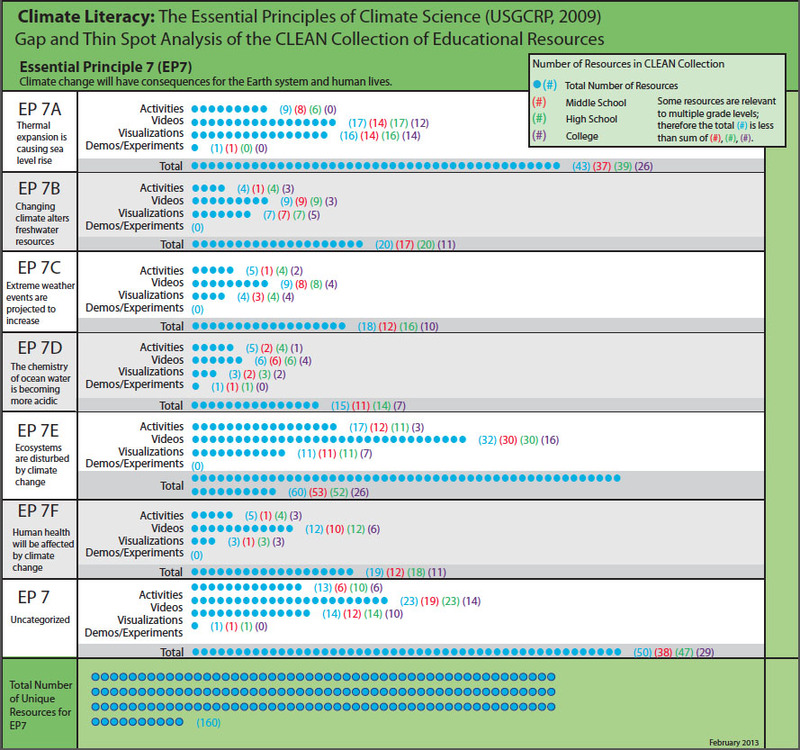 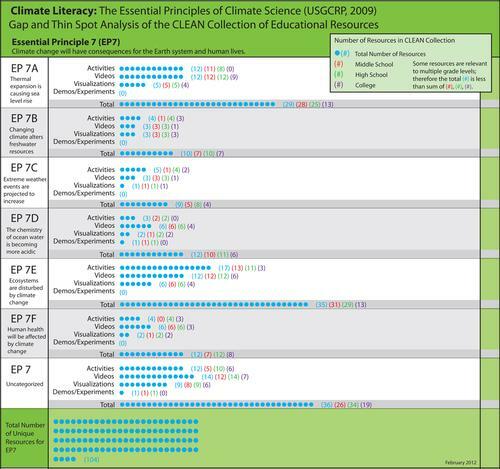 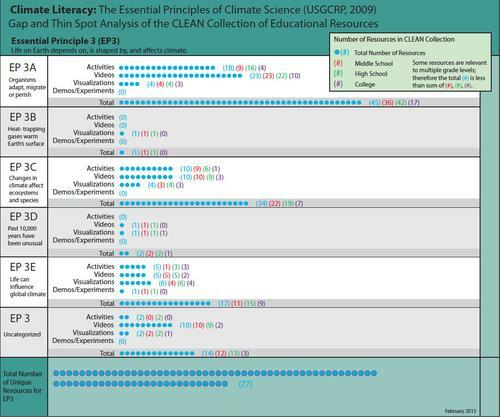 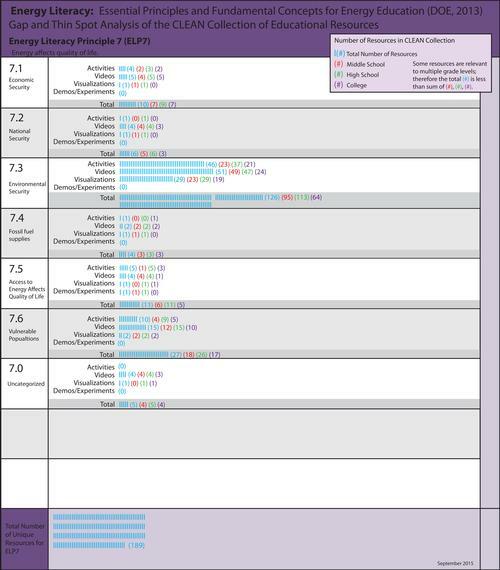 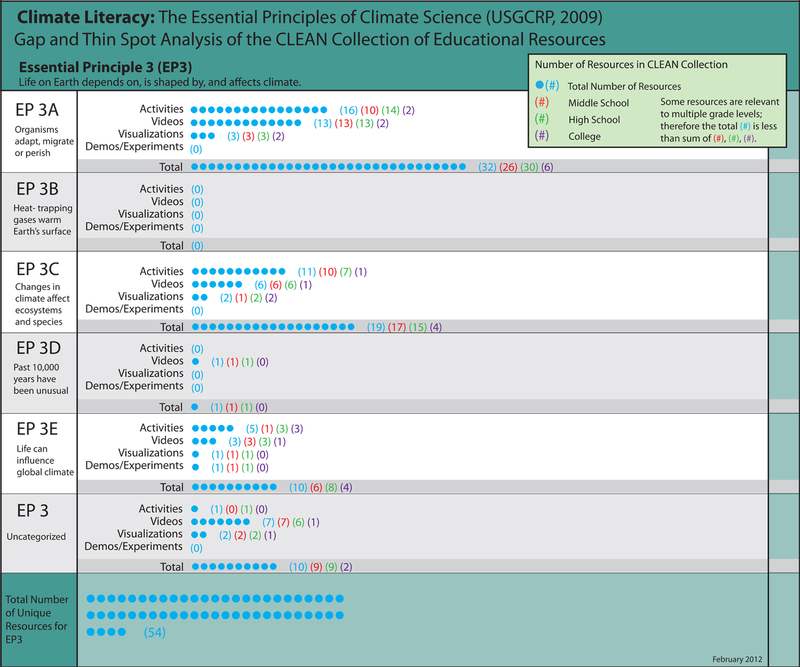 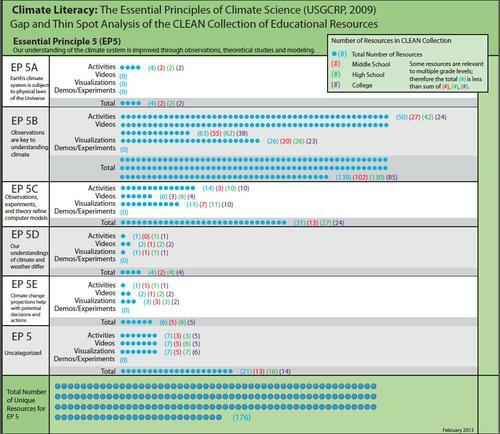 The Climate Literacy Essential Principles and Energy Literacy Principles were used as organizers (Sept 2015).